November 11, 2010 7:00 am By Lori Post contains sponsored/affiliate links and I get commissions for purchases made from links. As an Amazon Associate I earn from qualifying purchases. With the holidays around the corner, I thought I’d do a refresher series on my favorite survey companies. By participating with several of these sites each month, I am able to save enough cash to completely pay for Christmas! First stop: Mindfield Online. 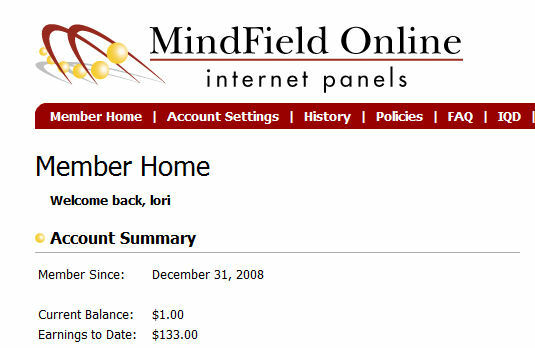 From the screenshot below, you can see I’ve been a member for nearly two years and have earned $133. The thing I like best about Mindfield is that most surveys are short, usually between 5-15 minutes. 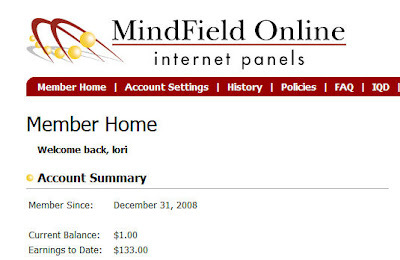 While some companies make you wait until you’ve earned $20-$50 before being paid, Mindfield sends your check out (or pays via Paypal) with as little as $5 in earnings! Another perk: you’ll occasionally get some smokin’ hot product testing opportunities. Last month, many lucky members got in on a free diaper product test!!! They were given a free package, then paid to give opinions on the product. 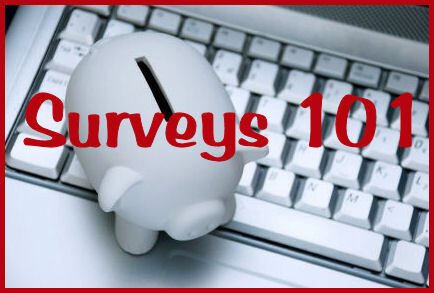 In July, few folks even got chosen for a $50 product testing opportunity!